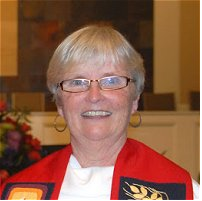 Diane Dougherty is an ordained priest serving in Atlanta. Her church, The Church of the Visitation, prays and collaborates with communities of faith desiring to become prophetic change makers working for equality and justice locally and globally. The many communities with which she works are: Georgia Equality; Carter Center: Human Rights Defenders; Concerned Black Clergy- working to defeat the privatized charter systems; One Billion Rising Atlanta working to end systemic violence against women and girls. End the New Jim Crow, collaborating with churches to assist non-violent offenders as they re-enter society.